So, it’s over! 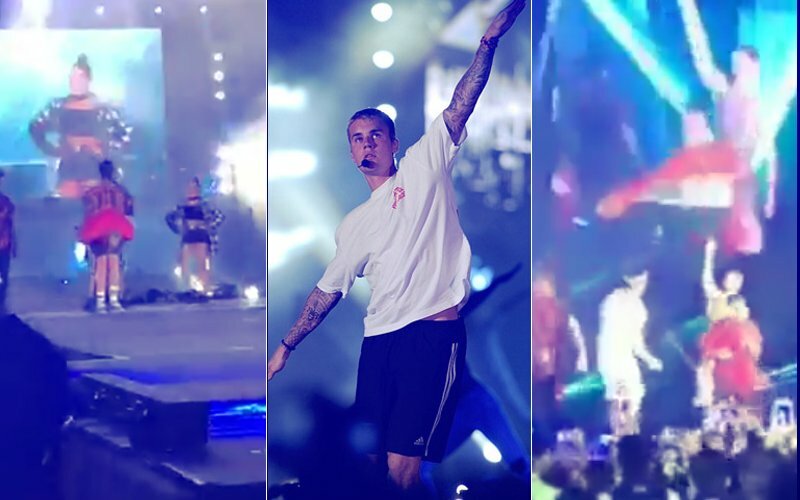 The madness about the International singer Justin Bieber performing in Mumbai has finally settled down as the concert took place last night at DY Patil Stadium. 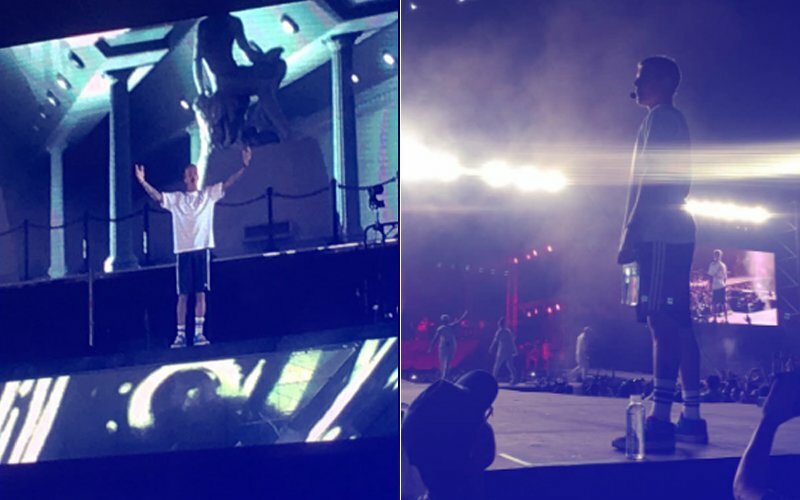 While a lot of you may think that the Canadian pop star Justin Bieber nailed it and performed to his best but the truth is far from that- there were a lot of things which went totally wrong in this much-hyped concert. To begin with, the famous LIP SYNC. Yes, the concert was totally lip synced and this is so not fair to the people who paid a bomb for the tickets! In fact, there was a point when a song started playing while Bieber was still sipping water on the stage.  Lip sync hi karwana tha toh itna kharcha q kiya ? Next, Justin flaunting his Bieber swag took his guitar in the hand to strum for his fans. Little did he know that this will not be a very musical affair because the moment his fingers flicked the strings, the sound was definitely not music to ears. Well, his guitar was out of tune. 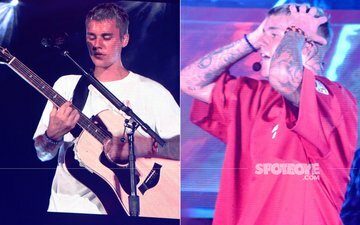 But, hey, Justin took the mic and apologised to his fans, as he added that because of the humidity, his guitar went out of tune. "Weather is not too hot, but the sun is kinda different here!”- Eh, really Bieber? Well, now you might think that I am getting too harsh on him as he did apologise for it but hey, don't forget that you paid over 75K to be there to hear to his famous track ‘Sorry’ not to his literal ‘Sorry’. Our Indian singers play in the same weather too! Also, I believe the concept of technical check still exists during concerts? Also, there were over 50 incidents reported of people falling unconscious. Arrangements were too bad. It was too chaotic and mismanaged. Fans were divided into different categories even after buying same type of ticket. The loos were extremely dirty. There were reports of missing people who could not reach to each other because of all the commotion and phone network jams. Food and beverages were being sold at an exorbitant price without any coupons, bills or receipts. Imagine paying a bomb for food and water after spending thousands on tickets already. Transportation was a disaster. People had to park their cars, go to the box-office and then walk to the stadium. Public transport was charging a bomb even for short distance. Selling tickets in black and at a concessional rate was also a common scene there. A few celebrities were so disappointed that they just returned before the entire concert got over! 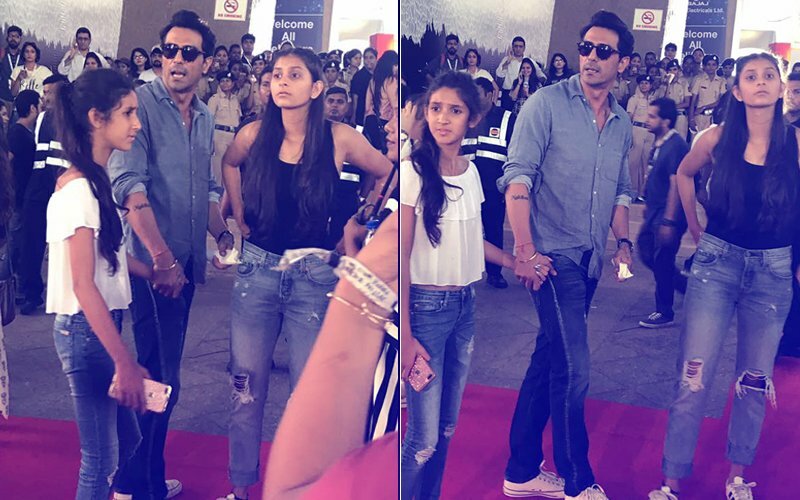 A few like Bipasha and Karan Singh Grover couldn’t make it to the concert at all because of the chaos and an uncontrollable crowd. 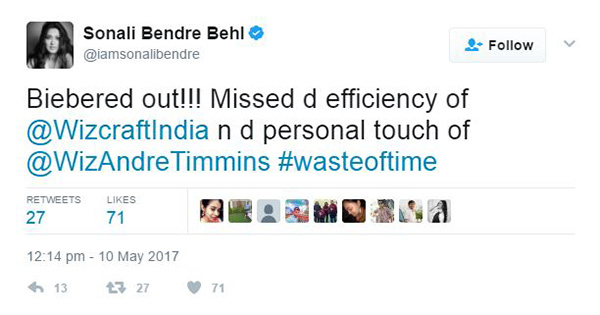 Interestingly, Sonali Bendre who attended the event with her kids was also very angered by it and expressed her displeasure by saying it was a complete waste of time. ALAS! So much effort, time, energy, money for a lip synced and a mismanaged concert? 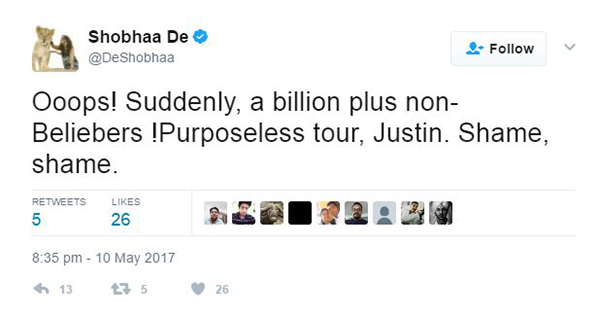 Guess, this concert was only for Bieber's die-hard fans, after all. Guess What Did Bipasha Basu & Karan Singh Grover Do After Missing The Justin Bieber Concert?